Dollops of Diane: The Parched Painter: Review and Giveaway! When I went to a paint night over the summer at The Parched Painter in Walpole, MA I knew right away that it would be the perfect spot to have Isabelle's 7th birthday party. Although she can jump the day away with the best of them at a bouncy house party, it's not really who she is. She is a crafter. She is a drawer. She is a painter. So I knew (well, anticipated) the party would be a slam dunk - and it was! The party was easy peasy to plan with the studio. They suggested several paintings based on the age of the guests and Isabelle got to pick the final painting. She picked a snowman which I think will be great for years to come. I then sent in a deposit and showed up day of with cupcakes/water and they did the rest. They provide invitations (although I did Evite instead), tablecloths, plates/napkins, balloons, and all the painting supplies. Rich, one of the co-owners, led the girls (and one specially invited boy) step by step through the painting process. The kids were great and totally into it. They also had fun, party/age appropriate music playing for me (oh, I mean the kids) to sing along to. So the kids painted for about an hour and a half and then we headed over to a separate table for some party fun. At the end of the party, everyone got to bring home their masterpiece. No need for cheap goody bag prizes when you get to bring these treasures home! I honestly think it was the PERFECT place to have her party. Everyone had such a great time and it was something different to do. You can check out more about their kids parties HERE but standard pricing is $250 for 10 kids (or less) and $25 per additional child. One of my favorite parts about the studio is that it is BYOB! You can bring in whatever food or drink that you like to enjoy while painting. They even have tables set up on the side so you can bring in chips and dip or larger items. You could also bring in a veggie platter, I suppose, if that's your thing (gag). You can check out their calendar ahead of time (HERE!) and it shows what they are painting each night. You find a painting you like, sign up online, grab your friends, and you are set to go. It's low key, it's casual, it's fun! Oh, and yes, YOU can paint the picture. I have no painting history and no real artistic ability but my painting came out totally fine. This type of night is perfect for beginners up through experienced painters. The instructor walks you through step by step but everyone can put their own spin on their painting if they choose! Oh, and if you really mess it up, they'll totally help you fix it. Okay, so in case it's not clear, I really dig The Parched Painter. My guess is if you go, you'll love it, too. Need an extra nudge to get there? How about 2 complimentary tickets to an adult class (value: $35 per ticket). 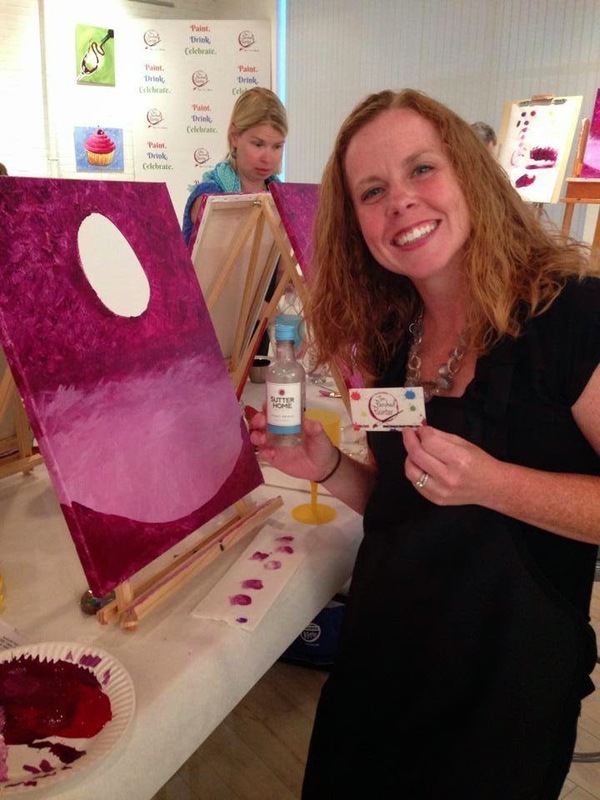 Free tickets exclude fundraisers, private parties, and Paint your Pet nights. Enter for your chance via the Rafflecopter form below!